Active Care Center is an Orthopedics and Occupational Rehabilitation clinic offering specialized medical services. One of the major services offered is DOT Medical Evaluation, Drug testing and Alcohol testing for professional drivers who either hold class A license or are required by the DOT to hold medical permits as it relates to their job. 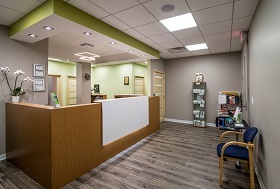 Our clinic prides itself in “no-wait service,” meaning that a walk-in driver will not have to wait long for the test and is seen right away. We have never had drivers wait for more than 15 min before the testing process starts. Prior appointments are encouraged but are not necessary. Drivers who have prior appointments are seen immediately at their allotted time. Pass Your DOT Medical Exam! Dr. Pawlusiewicz knows how important it is that you continue your livelihood as a commercial driver. With his extensive knowledge of the DOT Physical Exam medical guidelines, Dr. Pawlusiewicz will steer you through the DOT Physical Exam requirements so you can Keep on Truckin’. Looking for a DOT Physical Exam or CDL Physical Exam in Arlington Heights, Illinois? You’ve come to the right place! 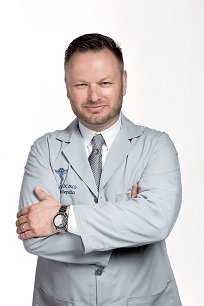 Dr. Pawlusiewicz is a chiropractic physician with specialty in Orthopedics and Occupational testing. He holds physician licence in the state of Illinois and is certified by the Federal Motor Carrier Safety Administration (FMCSA) to issue intra- and inter-state medical examinations. He is also certified to perform Drug and Alcohol tests according to the DOT requirements.